This is the last installment of our healthy living series on the subject of water. Readers of the Pure Leadership textbook series will be acquainted with some parts of this topic as it was well covered in Lift the Veils to Reality and Change is Natural. We hope you’ve enjoyed this series! What is the perfect quantity of water to consume? In previous articles you’ve learned about the functions of water in your physical body, how to raise the energetic vibration of the water you drink, where to determine the parts-per-million of minerals in the water you’ve chosen, and why the dyne rating is an important factor to understand if you want to make water absorption easier by your cells. You’ve learned how you can use Sacred Codes and water structuring devices to increase the Life Force Energy in the water you drink and how you can improve the quality of your water by supplementing it with natural substances like sea salt, lemon and cucumber. Now how does one determine the ideal quantity to drink considering your current circumstances? Well, there is no single answer to that question. You have to consider your physical body. Pure Leadership News is delivering a healthy living series on the subject of water. Readers of the Pure Leadership textbook series will be acquainted with some parts of this topic as it was well covered in Lift the Veils to Reality and Change is Natural. What makes good quality water? We’ve learned that water is abundant, and our sentience is at least partly attributable to water. 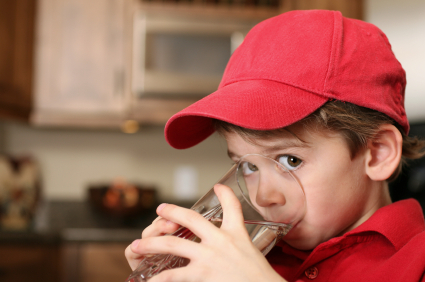 We’ve learned that drinking water is essential to how our physical body functions. Basically, water equates to life. But is all water created equal? From Clayton Nolte’s research mentioned in a previous article, we realize that structured water is one of the best ways to consume this life-giving, miraculous substance. We’ve also learned that we can use sacred codes to energize and purify the water we drink. We’ve learned that with the appropriate belief system, we could drink contaminated water and our body would purify it and generate the minerals it needs. It would literally transmute ‘bad stuff’ into ‘good stuff’. However, until you have achieved that belief and the necessary level of vibration, the quality of the water you begin with is obviously important. If we don’t know the many ways that water functions in our physical body, we’re not likely to care very much about the quality or the quantity of water we drink. We might even assume we’re getting enough water from our daily dose of latte or caffeinated tea, and the three or four more cups of java or cans of soda we might slurp (when we feel we need that little energy boost), or that frothy glass of beer after work (which we’ve misconceived is going to calm things back down). Seemingly, many people think that is the way to hydrate. In fact, it’s been estimated that 40% of the North American population is in a chronic state of dehydration because so many of us have that impression. Some people are in a state of dehydration for so long they’ve actually lost the ability to recognize when they are thirsty! When we went to high school, chemistry classes always began the same way. We learned about water. We were told it was inert and biologically neutral. That it was nature’s ideal solvent and diluent and not much else. Distilled water, stripped of any polluting minerals, was non-reactive and therefore perfect for chemical experimentation. We were told that water was the simplest compound on Earth, just the combination of the two most common reactive elements – two hydrogen atoms and a single oxygen atom. In fact, our teachers often relegated water to the lowest strata in the pantheon of substances we had to learn about in science. Were they lacking a tremendous amount of very valuable information? As we gained awareness, we discovered there was much more to learn about water. Much, much more. Water transports, lubricates, reacts, stabilizes, signals, structures, partitions and even burns. As a liquid, water is much denser than expected and yet as a solid it is much lighter than expected. 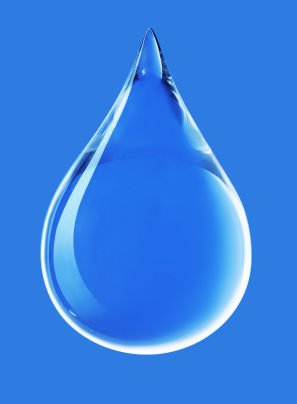 We began to realize that water – transparent, odorless, tasteless and ubiquitous – is actually a miraculous substance. It is the element of life. We learned that water is, in fact, life itself. Pure Leadership News is delivering a healthy living series on the subject of water. Is there enough fresh water for all 7 billion of us? Perhaps take a moment and answer this question to yourself before reading on. All life on Earth is dependent on this miraculous Sacred Element. Individually, the amount of water we require every day depends upon a variety of factors like current weight, how much we exercise, the temperature where we live and even our gender. A man in Canada, weighing 90kg who spends most of his workday at a desk and doesn’t regularly exercise, can still require nearly three liters of fresh water daily. His petite female co-worker weighing 40kg on the other hand, may need as little as one liter. Having an idea of how much water we need every day makes the quality and the quantity of available water an obviously important topic to each and every one of us. Yet, for the most part, and despite that importance, people are often completely ignorant when it comes to answering the question we’ve posed. 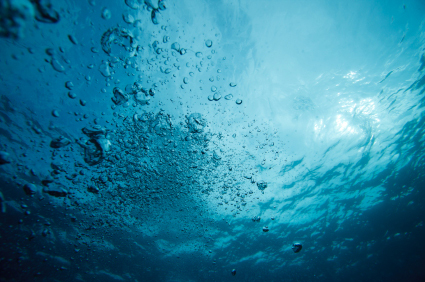 We’re often being encouraged to move into fear when it comes to water. Every day we face a barrage of dire predictions about shortage from our media. Our governments and our scientific institutions, want us to believe that there is an inevitability of looming disaster when it comes to water. They say the water on Earth is being turned into a noxious soup of toxins everywhere and that sources of pure, clean water are drying up. We’re being told the Earth’s quotient of fresh water is declining, even disappearing.